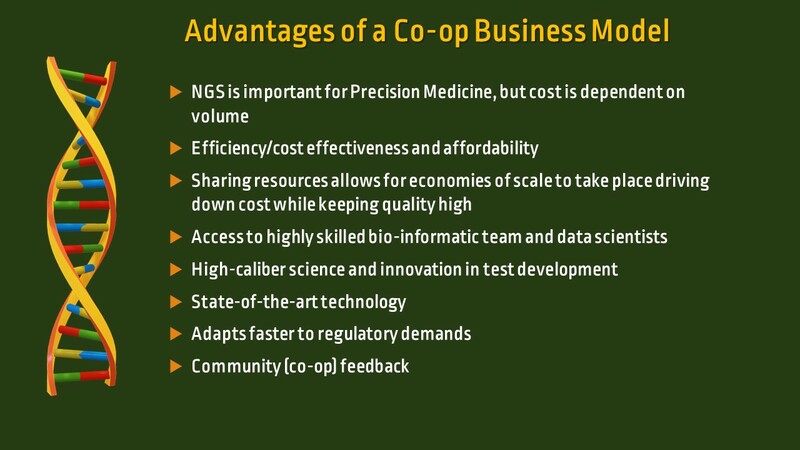 Simply put a co-op means we all work together as a team to make things better. Enables local labs to offer a comprehensive molecular menu to support their roles in their own communities. 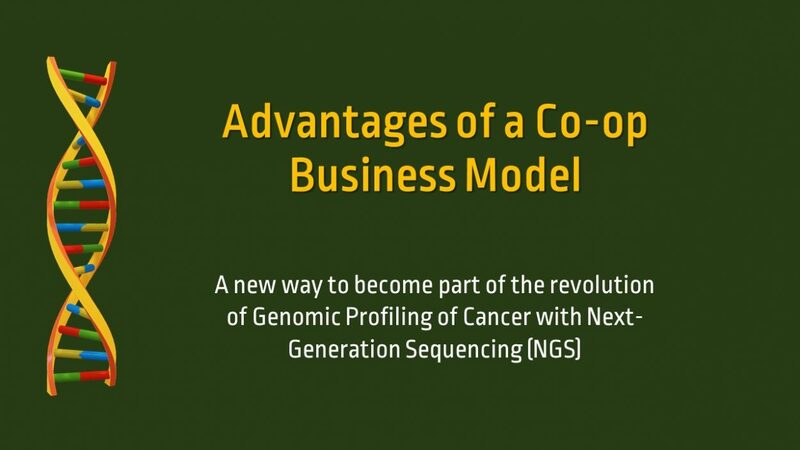 Provides the economy of scale for sophisticated, centralized, and affordable NGS testing. Reduces overhead cost (marketing, sales, billing, etc.). Integrates machine learning in daily operation and interpreting data. Focuses on innovation and development of new testing. Offers FDA clearance as a lab and not only as a test. HOW WE DO THAT? Like all disruptive companies, we value engineer the process and figure out ways to save you money without sacrificing quality that traditional companies can’t or won’t adopt because they’re used to doing business a certain way. Change can be hard. Genomic testing is moving fast, and innovation is happening faster which has allowed a rapid drop in the cost of testing. At the dawn of the new millennia, the first human genome was completed at the cost of billions of dollars over several years with large teams of scientist putting the puzzle pieces together. Today it can be done in about a day for a small fraction of the cost by a few people. We utilize cost-effective tools like secure cloud server’s vs building server clusters which need a team of IT workers to maintain. We embrace machine learning to help interpret data quicker which allows our team of scientists to do more. We offer fewer tests which allow us to optimize our sequencing runs so we can run more samples to lower the overhead. And that’s just a few highlights of how we do it to help save the healthcare system money.